Ulta – 21 Days of Beauty Steals! Starts TODAY! 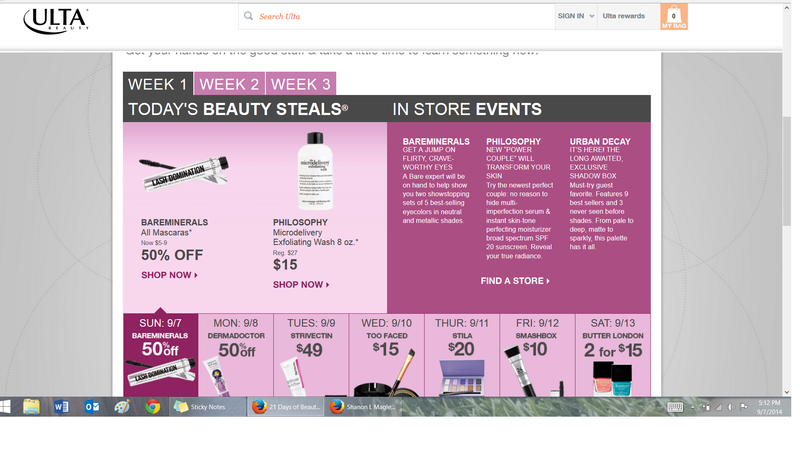 September 7th to September 27th will be full of Ulta in-store events as well as free gifts! Starting today, there will be a new beauty steal featured for each day listed. Go ahead and snag some deals now at Ulta.com! Next PostNext My Hair’s Looking And Feeling The Healthiest It’s EVER Been — My Secrets!